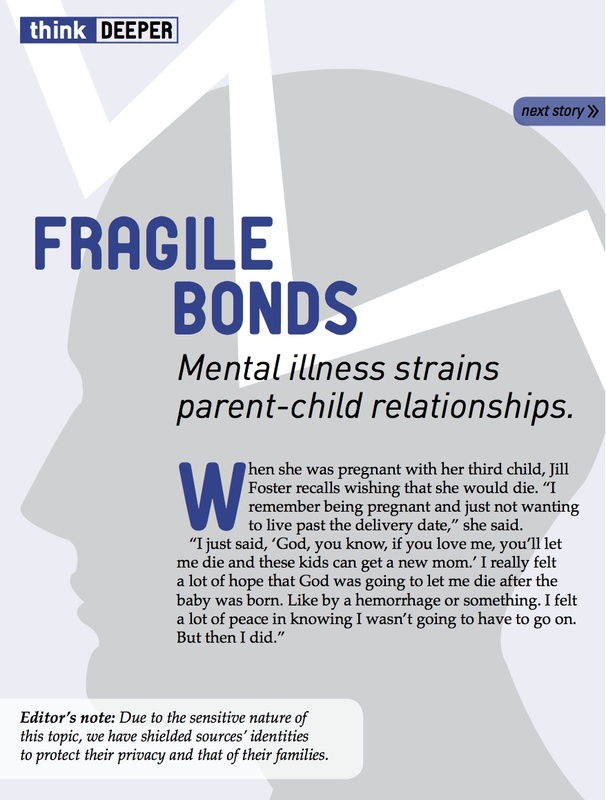 This is a feature story I wrote for Think Magazine. Think was a senior capstone project in which I played the role of editorial director. Aside from writing, I helped form story packages and follow through on connecting with sources and writers. I managed a number of staff and freelance writers and helped them connect with story sources and resources. 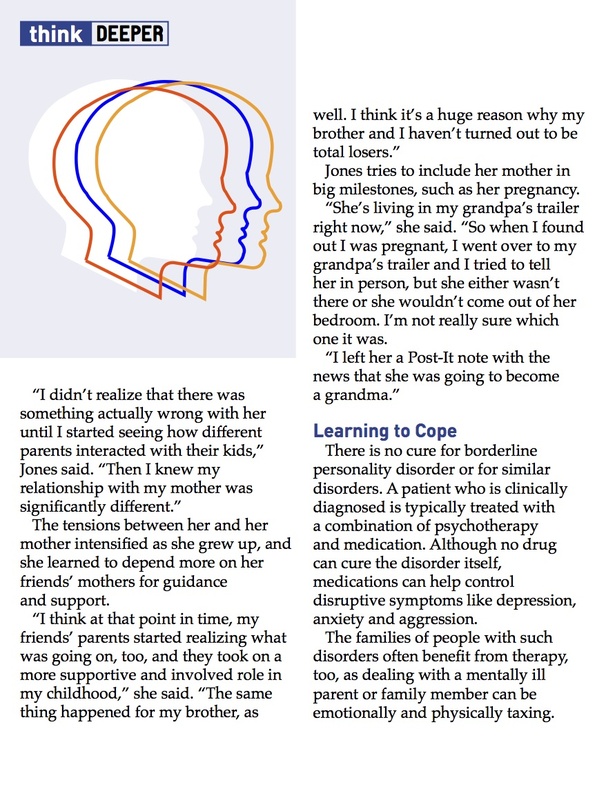 This story focuses on Borderline Personality Syndrome and the story of two women who are affected by the condition. One, a mother raising five children while working to be the mother she wants to be despite her borderline condition. The other, the daughter of a woman with Borderline Personality Disorder who never quite connected with her mother the way she wanted to. Download the full iPad magazine here. Click on the image to flip to the next page of the story.